I try to avoid making my 1887 Victorian home a clutter-fest with all sorts of Victoriana dripping off of the walls and table surfaces. I have a bare minimum of art and some period statues, candelabras, Victorian wall shelves, clocks and that’s about it. I’m trying to avoid the grandma-effect – that sense when you walk into a home that grandma decorated. Some of my friends would probably look at my home decorated 95% in Victorian and say that I’ve already lost that battle. One item I have been searching for for some time was a decent towel rack for the first floor powder room. I could put up a brass one, but there’s no way I was going to put a modern Home Depot one in there. I ran into the one above a few weeks ago and considered my search over. 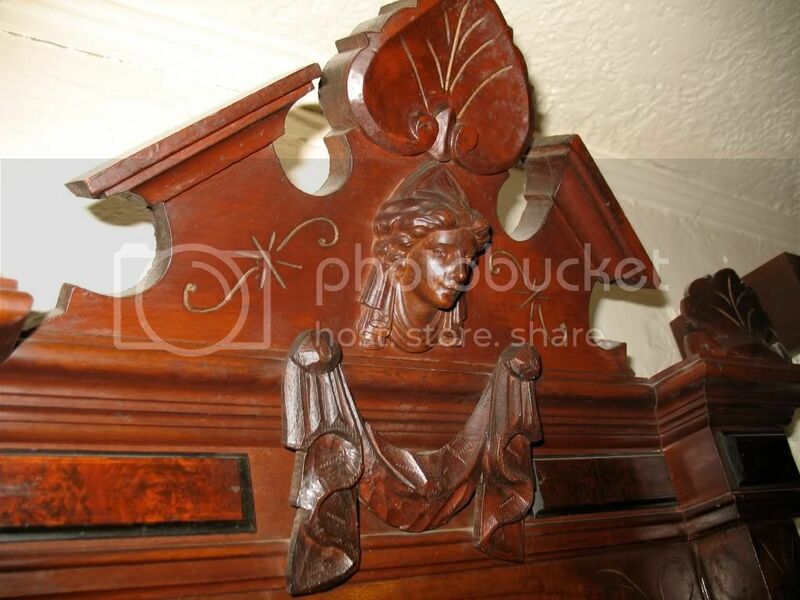 I had to take it off the market before someone bought it and declared it having been done by John Jelliff due to the female bust in the crest. Nice find. Where did you locate it? I found it at a local antique shop in Chadds Ford, PA. She has a knack for finding these racks and Ren Revi and Eastlake mirrors. Oh and c’mon, if you want authentic Victorian clutter is a must! Our house looks like the Adams Family’s on a bad day.